Denton and Reddish MP, Andrew Gwynne, has rebuffed the Transport Secretary after he suggested that the he and the Government bear no responsibility for their transport infrastructure failures across the North, and instead proposed that the North should “take control” of rail networks. In his piece for the Yorkshire Post, the Transport Secretary, Chris Grayling MP, stated that, “congested roads and overcrowded trains are a daily reality for thousands of commuters”, across the North, in an apparent admission that transport infrastructure had not improved across the region after seven-years of Tory government. 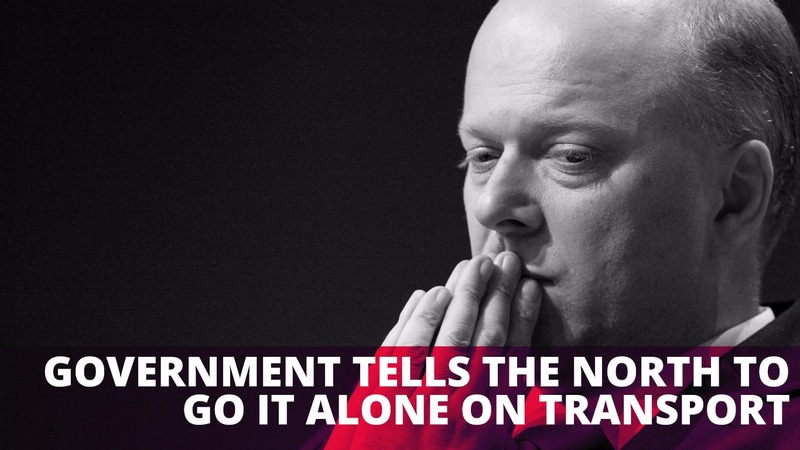 Instead, Grayling suggested that the solution to these problems would be for “the North to take control”, of transport policy and delivery. This comes only a month after Grayling was forced to admit that the Government had decided to scrap their previous commitment to electrify several lines across the North of England, including the Manchester to Leeds route which had been earmarked for upgrade. The Office for National Statistics (ONS) reports that in terms of transport infrastructure, the Government will spend more on those in London and the South-east regions than in the North by a factor of six to one. “This is yet another example of how out of his depth the new Transport Secretary really is; it wasn’t enough for him to tell the North that London was more of a priority last month when committing to record spending for the South East, but now he’s telling us to take care of our own transport policy. “It beggars belief that Mr. Grayling fails to grasp the fact that although the North, and in particularly Greater Manchester, is one of the fastest growing regions in the country we are still receiving one pound out of six pounds that is spent on transport infrastructure in London and the South East. We need increased spending on transport, not more empty rhetoric.